Hexagons and diamonds have an interesting relationship. Since they both share 60-degree angles, the two shapes can fit together in a variety of ways. Take this one-inch sided hexie. 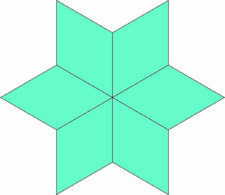 If you divide it in three, the interior shapes are diamonds. The result is known as a Baby Blocks quilt design. 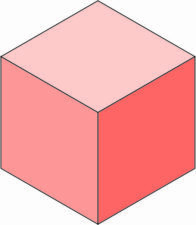 If the diamonds are colored correctly, they create the illusion of a three-dimensional cube. We have already talked about joining hexies together in rounds to create a traditional Grandmother’s Flower Garden design. 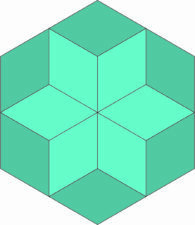 If we fill the spaces around the outside edges with diamonds, we get a larger hexagon! 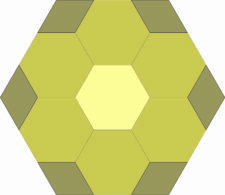 When these hexagons are joined together in a round, the diamonds come together and form a hexagon. Six diamonds can be joined together to form a six-pointed star. 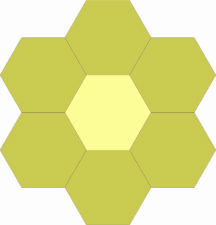 Once again, adding diamonds to the outside edges turns the star into a hexagon. 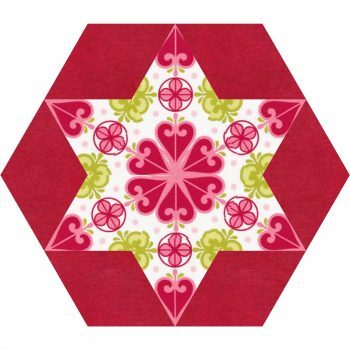 Look how pretty this block looks joined together in rounds! The fun really begins when we start playing with fabric. Fussy cut diamonds can create marvelous kaleidoscopic images. 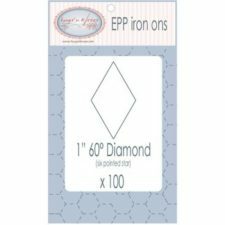 If you’ve started using precut iron-on interfacing to prepare your hexies for piecing, you will be pleased to know that we now carry 60-degree diamonds! 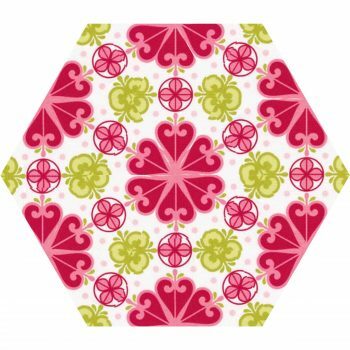 Precut from Hugs’n Kisses Applique Paper, the diamonds are fused to your chosen fabrics, seam allowances are glued or tacked over the edge and then sewn together as normal (by hand or machine). The papers do not need to be removed, as they will semi-dissolve on washing and remain safely inside your project as soft fibers.